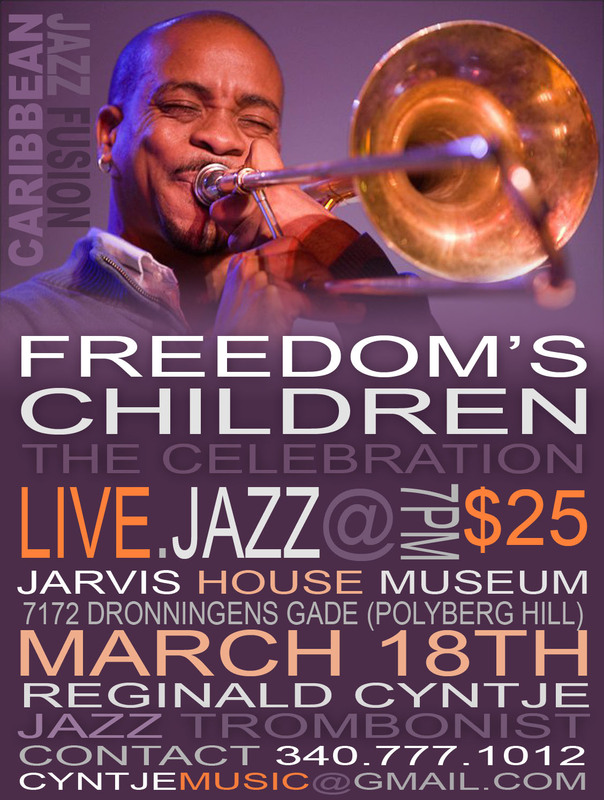 Jazz Trombonist, Reginald Cyntje, is heading to St. Thomas, VI next week to conduct music workshops in the schools from March 15th-18th 2011. On Friday March 18th, he will be hosting a fundraiser concert at the Jarvis House Museum at 7pm. Please come out and support!